Minnesota might not seem like it, but they have a decent drag racing pedigree. They have Brainerd International Raceway, and the legendary Brainerd Zoo. Minnesota is also the home to a number of Pro Stock drivers, including Warren Johnson, Kurt Johnson, Jason Line, and Greg Anderson. Between them, they have won a combined total of 273 national events, and 13 Pro Stock Championships. Greg Anderson’s road to NHRA stardom had some help from a legend. Anderson got his start tuning Warren Johnson’s Pro Stock car for many years, and winning three championships in 1992, 1993, and 1995. The 1995 championship was marred in controversy, with the feud between Warren Johnson and Wayne County Dodge driver Scott Geoffrion taking center stage. This was referred to as a war, and this led to an infamous incident at Houston where the two had a burndown, and a war of words. Later that season, the Wayne County Dodge team shop was broken into, and the engines of the cars were vandalized. Wayne County Dodge was also alleged to have illegally used Nitrous, and the team shut down soon after. In 1998, Greg Anderson started racing in Pro Stock. He took to the class well, winning 86 races, and four championships. He won 12 races in a single season in 2003. In 2004, he set the record for most #1 Qualifiers in a season with 16. His career almost ended in 2014, after heart surgery. He rebounded, and had a solid showing in 2015, finishing second in the championship standings, as well as finishing second in 2016. In 2010, he won 5 events, Norwalk, Seattle, Charlotte, Dallas and Las Vegas, and wound up winning the NHRA Full Throttle Drag Racing Series Pro Stock Championship. One of his crew members was issued this white hat in celebration. 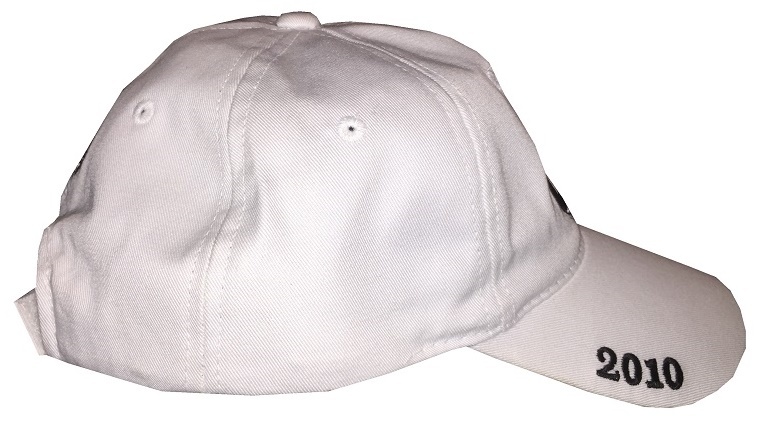 The cap is in great condition. 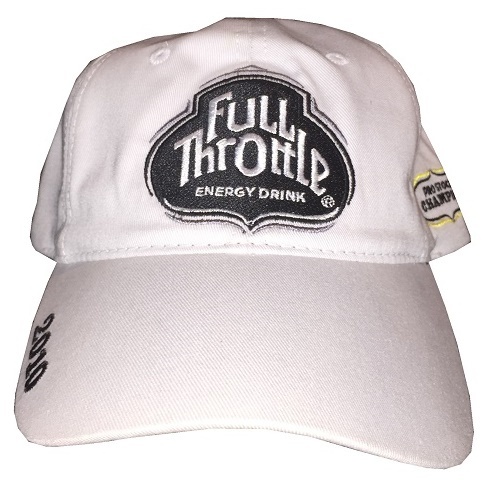 It has a Full Throttle Energy Drink logo, as opposed to an NHRA Full Throttle Drag Racing Series logo. 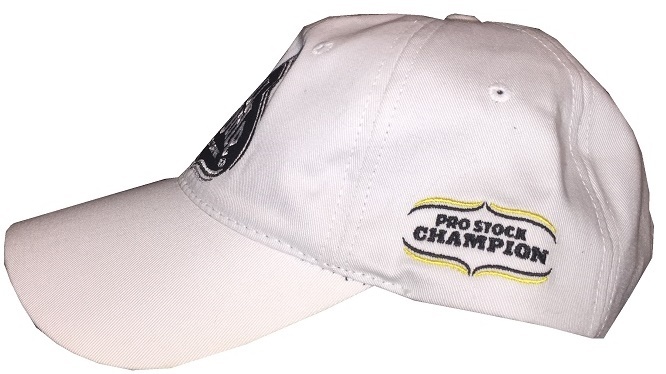 The left side features PRO STOCK CHAMPION embroidered into the side with black and yellow accents. 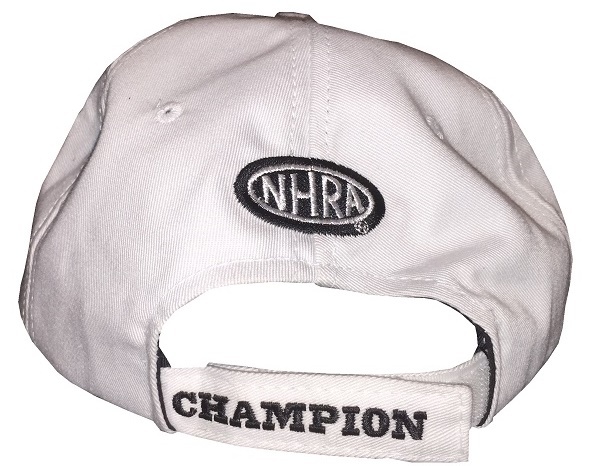 The back of the cap has an NHRA logo and CHAMPION embroidered into the Velcro closure strap. The right side has 2010 embroidered into the bill. 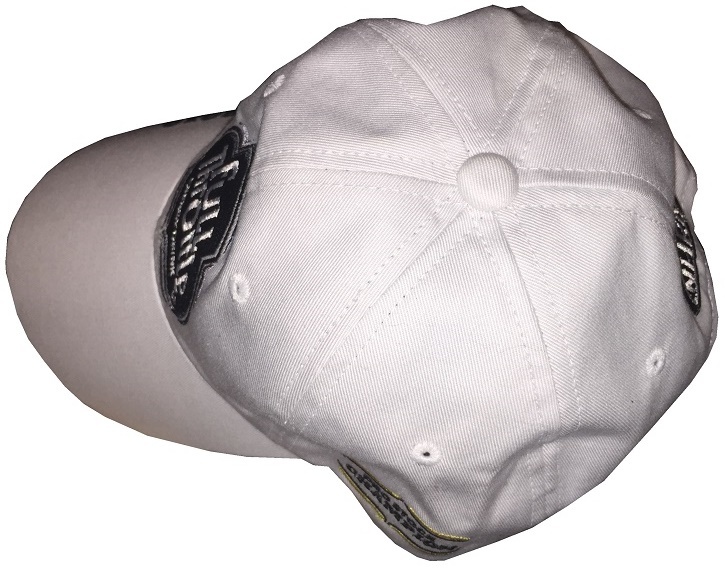 The top is pristine, and the cap has a white squatchee. 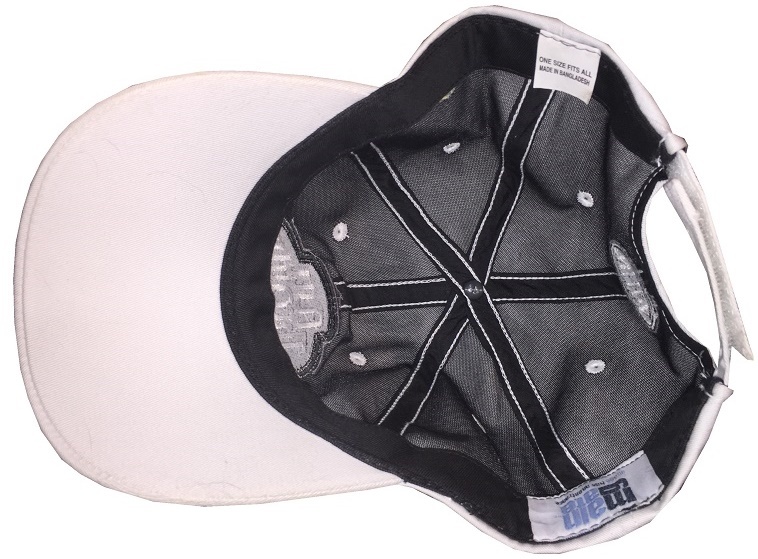 The inside of the cap is black, has some light stains, and a Main Gate tag. Greg Anderson’s 2017 season is going well too. He has had solid showings at every event he has raced at, and has two wins, and has a good spot in the point standings. He will be a threat for the championship this year. He is 11 wins away from being the all-time win leader in Pro Stock. Next week, I will discuss a Ron Capps championship hat.